What type of insurance or forms of payments do you accept? We work with various private insurance groups, workers' comp, self-pay and charitable groups/organizations. We have a dedicated team of billing specialists who are available to answer any financial questions that you have related to your prosthetic care. How long will it take for me to schedule an appointment and what is the process? Scheduling timeframes vary in each center. Our goal is to avoid delays and coordinate a day and time that works well with your schedule. We recommend that you contact us as soon as you’re ready to meet with our team and we’ll get the necessary patient information and provide dates for you to consider. It’s that simple! How long is the evaluation and how much does it cost? The comprehensive patient evaluation with our clinical team takes approximately 2-3 hours and it’s complimentary. How long does it take for the prosthetic fitting process? Once you complete your initial evaluation and receive insurance authorization, we will work with you to schedule an expedited fitting. This process usually takes between one and five days. How soon can I schedule an appointment after my amputation? It’s never too early to meet with our clinical team for an evaluation as we don’t do any casting or fitting during the initial visit. Instead, we will spend the necessary time with you to discuss your prosthetic options and propose a plan for when you are healed and ready to move forward with prosthetic care. What type of prosthetic technologies do you offer? We offer the full range of upper limb prosthetic technologies including passive designs, body-powered, myoelectric and activity-specific. We also partner with leading global prosthetic manufacturers on research and development projects before their technologies are launched mainstream. 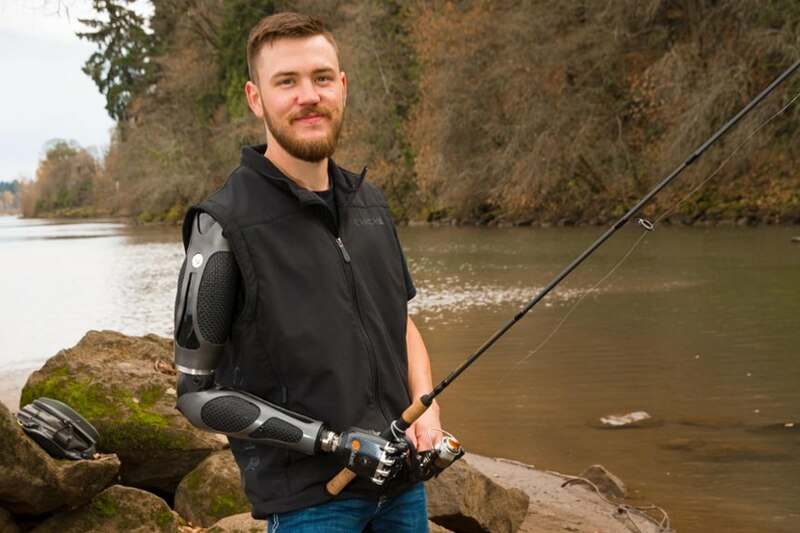 As a result, our patients have early access to many advanced upper limb prosthetic technologies for daily life, work and recreational purposes. What are your hours and are you open on weekends? Our standard business hours are Monday through Friday from 8:00 a.m. – 5:00 p.m.
Do you have any patients who I can speak with or who offer peer-to-peer support? Yes. We have patient advocates available who enjoy sharing their story and talking with other people who have experienced limb loss. You’re not alone and we’re here to offer support through your journey. If you’re interested in peer-to-peer support, please inform our clinical team during the patient evaluation and they will connect you with an Arm Dynamics’ patient advocate. Yes. If you are unable to meet with our clinical team in-person for the initial visit, we offer abbreviated evaluations via video conferencing as an option. Please contact patient care at 888-507-4138 to learn more or schedule a meeting. 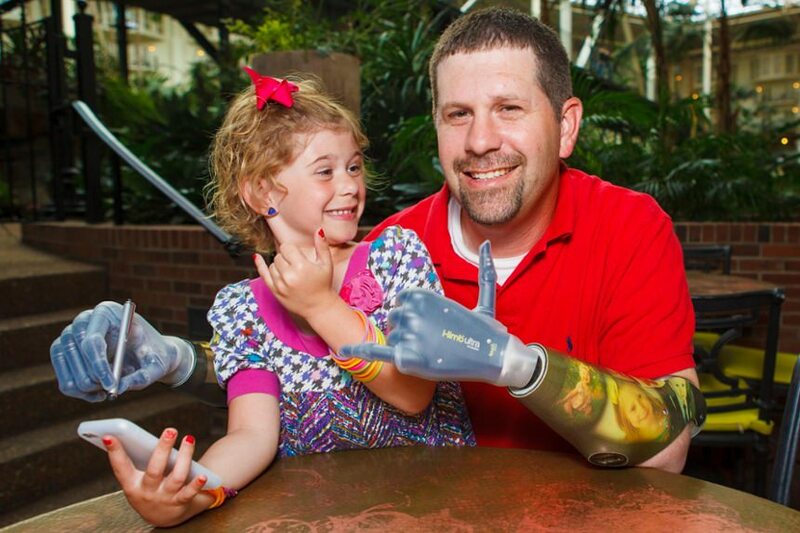 Do you know of any programs/resources that provide financial assistance for prosthetic care? Overcoming challenges through prosthetic rehabilitation.